Join us for Modern Marketing Month as we continue our investigation into the overlapping trends of artificial intelligence, machine learning, marketing automation, and data science with Marcus Tober, the CIO and founder of Searchmetrics. 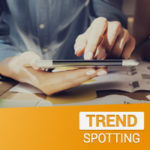 Ben: Welcome to modern marketing month on the TrendSpotting podcast by Searchmetrics. In this podcast, we dive deep into the innovative ways marketers use expertise and data to identify the macro trends that influence where you should be investing your marketing budget. This podcast is brought to you by Searchmetrics. At our core, the Searchmetrics team is a collection of SEOs, content marketers and data scientists who help sophisticated organizations leverage search data to improve their organic traffic volume, maximize the visibility of their content, and gain insights into their business, competition and industry’s performance. This week we’re going to continue our investigation into some of the overlapping new trends in marketing like artificial intelligence, machine learning, marketing automation, and data science. Joining us today is a very special guest. 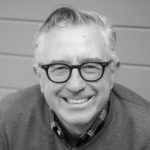 Marcus Tober is the founder and chief innovation officer at Searchmetrics, and for the past 13 years he’s guided Searchmetrics’ technology strategies and was also the driving force behind building our data science organization. I’m very excited to welcome Marcus to the TrendSpotting podcast to give us his view on the relationship between data science, machine learning and artificial intelligence. Here’s our interview with Marcus Tober, Chief Innovation Officer of Searchmetrics. Marcus, welcome to the TrendSpotting podcast. Marcus: Hey Ben, yeah, thank you for having me. Ben: It’s an honor to have the man that founded the company, and you recently have changed role. You served as our CTO for close to a decade and now you’re focused on building an organization within Searchmetrics to drive innovation. How is your role today and how are you feeling about what you’re working on? Marcus: I think that’s such an easy question. I’m feeling very excited about my new role. Innovation is what drove me the last 13 years at Searchmetrics and I’m super excited to focus on primarily innovation. It doesn’t mean that other people are not working on innovation, but my ideas with my team that we take on maybe some risky ideas or bold ideas and that we then test things for the prototype and try to investigate a lot of our time on these ideas. Ben: Well, I’m excited for you to be the person who is doing the experimentation on behalf of the organization as we continue to scale the underlying product strategy that you helped build. And a large part of that is our capabilities within data science. 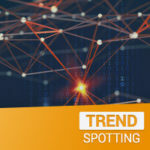 So far this month on the TrendSpotting podcast we’ve talked to various experts understanding what marketing automation, artificial intelligence is. We’ve covered a bunch of different topics. And today we’re going to focus specifically on how to think about the definition of data science and how it relates to some of these other marketing functions that are becoming more prevalent for executive marketers. So let’s just start off by you telling us how you think about and define what data science is. Marcus: That’s a tricky question. Data science is, it’s not a thing you can study in a university or somewhere else. You’re using data to come to conclusions, to cross reference different data sets and to really help leverage the data to grow things within the company. That’s data science for me. Of course, when you come to data science, you need to think about machine learning or then you think about large companies like Uber using machine learning to improve their rankings. For me data science will be the core of SEOs. I think we shouldn’t talk about SEOs specifically because data science is so much more, but this is how I would reduce data science for such metrics at the moment. Ben: It’s interesting because you’re saying that data science is essentially a mindset of using data to come to conclusions. And while I understand and I agree with that, I wanna press you a little bit. Because there are people that are data scientists. And whether they’ve gone to school and studied data science or whether they’ve studied applied mathematics and engineering, right? Those are two different functions, people have a role of data scientist. We have some of them at Searchmetrics. So if we can’t define data science as an underlying function, what is the job those people are doing, and how does it change across multiple organizations? Marcus: Yes. Data science or the job title data scientist is still very new. Many things that data scientists use which are already there since 20 or 30 years. And maybe 20 years ago they were just using mathematicians or statistics title. And now they use the title data science. So that means a data scientist is actually someone who’s taking over certain problems and trying to solve this problem with data. And you can’t just use Excel and then you find a solution. When you use data you need to find the best way to find the needle in the haystack, and this means if you use machine learning models like [inaudible] or if you use a new deep learning framework like [inaudible]on the data, the job of the data scientist is really finding the best, quickest and leanest way to use and leverage data to come to a conclusion. And it could be something that’s super old, like a decision tree model. That’s something that many mathematicians used 20 years ago, or using very new modern approaches like using deep learning technology where you let the machine come to a model by itself. It really depends on the problem you have and the application of the solution is not always the newest. It’s really the job of the data scientist to come to something that’s fast and somehow accurate and that’s not always guesswork. Ben: That’s interesting. A couple of things that you said that stuck out to me, first that data science is on some level what people used to call statisticians, right? There are people that are using mathematics to do modeling and, I’ll be honest, one of my worst classes in my college career was my first statistics class. I took it over the summer and I wasn’t really paying attention, but to me statistics is predictive analytics, probability. Tell me some of the other functions that marketers who are not mathematicians, we’ll call them more brand marketers, can think about in terms of what the purpose of data scientists is. Predictive analytics, probability, what else are they doing? Marcus: In marketing it’s all about using a lot of data to use the data to increase the ROI, have better versions or have better optimized campaigns, all these things. What I believe modern marketers must understand is it’s not only about how you design a certain campaign or how you optimize your landing page with a green, red or blue button or whatever. I believe what data science is and how it should be used is that you can use a mathematician or a physicist or someone who studied pure data science [inaudible] etc. You can use them to make them understand what the business problem is, not just the problem, the business problem. Then they apply their models, the different models there are to help modern marketers in finding the potential solution. And sometimes that’s the funny thing. Sometimes they even find solutions when you haven’t even really found a problem before. So maybe one example. Let’s take the visibility that we have within Searchmetrics. So, the visibility came out of the intent of visibility in 2008 and we had already data scientists in Searchmetrics, but we didn’t call them data scientists. We called them data analysts at this time. Ben: They got a promotion. Marcus: Yeah, now they get a much higher salary by saying they’re data scientists, but actually they do the same now. And what we did with visibility is we analyzed real traffic from our customers. And we talk all the time lines and data sets. The data analyst then predicted and completed where the potential breakthrough rate on the different positions, and out of this we generated a model with our search result pages that have ads on it, the click through rate on certain organic rankings. When there are no ads, no product listing ads or no news, the click rate is overused. Real customer data are minimized, of course. Because the model needed to interpolate and complete CTR data where we hadn’t had enough data, this is where the data science came in. The data scientist built a model where the model decided what the click through rate actually is. And only when you use data science you always have a set of data where you work on the model and then you have the proof sets, the set of data that’s not used for training the model but where you actually have the results. Then you use the trained model against the results. Then you look at the metrics. This is how we can compare the results from the model against the real data. Marcus: Exactly. That’s what we already did in 2008. And this is how we came up with the visibility. The funny thing is, it’s still the industry standard. It still is and that’s something we did 10 years ago without knowing it’s actually data science. Ben: That’s interesting to me that you’re using predictive analysis and we’re calling it data science. Other things that can affect marketers or data science practices like clustering customers and trying to understand how user behaviors, one user behavior might be used to predict another example and how to think of putting your customers together in a profile. Are there any other trends in data science that you’ve seen that are becoming more popular these days? Marcus: Extending what you just said, I think lead scoring is one of the most popular things in modern digital marketing because for most companies it’s not a problem of getting or generating leads. It’s a problem of prioritizing which lead is potentially more worth to go after, especially in B2B. I think this is where data science is incredibly important. Or if you look at B2C and e-commerce, I think it’s super important to have these predictive models when it comes to which products to show. Because when a customer’s on a certain page you make recommendations for other products. And 10 years ago it was maybe just products out of the same category or products people have acquired altogether, but that’s often stupid. For example, Amazon, would you only stick with e-commerce when you bought a washing machine or Dustbuster or whatever? Something you normally just buy once. Typically Amazon just a couple years ago would have sent you an email one week later with another recommendation for a washing machine or something else. But now with data science you can tie the information of all these customers all together. You have maybe their click path, their purchase behavior. You can also tie information to entities because the washing machine is an entity that people buy only let’s say every 10 years or something. At that moment you feed the model and with data science you can make product recommendations or predictive recommendations of when someone should purchase a certain product. Amazon filed a patent a couple years ago on predictive purchases where they filed a patent that they sent you a package with something you haven’t really ordered, but they know you need this. This is really something I believe where [inaudible] commerce data scientist will play a very, very important role and B2B, I really believe it’s all about scoring leads. Ben: That’s interesting. You mentioned earlier that there’s the notion of deep learning and machine learning. Talk to me a little bit about the automation of some of these data science practices. How sophisticated and how much are data scientists relying on machines to put the analysis together for them? Marcus: Yeah. I think before data scientists actually are really able to do this, I think the biggest challenge for data scientists is to understand business to business objectives, the problems they need to solve, because what I figure in the past years when I’ve talked with data scientists and worked with data scientists, they’re all super excited about the new technologies that are coming out, about the frameworks like Café from Facebook or [inaudible] from Google. They are all excited about all the research papers that are published every day. Many of them I know, they want to compete, like kegger competitions. But only a few data scientists were really able to understand business objectives and then were able to find good and lean models to really solve a problem. I know that sounds weird, but many of them try to use new technologies and solve the problem with a [inaudible] approach, where you could use maybe just a decision tree, but instead of this they used the probabilistic model or built a new network and applied some deep learning techniques on it and came up with a solution definitely, and maybe it was 0.001% better than maybe another model. But this is I think the biggest challenge in data science. And when this is solved, because I think this is really the biggest challenge, then the data scientist is able to really scale problem solving for companies. Ben: That’s interesting. One of the things that feels intimidating for someone who’s not a data scientist is that the math that goes into data science can be so complex, and the technology and the models and the language, it’s intimidating for us normal marketers. Basically you’re suggesting the leaner the model can be when you’re putting your algorithm or your predictive analytics together the better. Marcus: Yes. Let’s take a real world example, Netflix. I think two years ago Netflix had a public competition where they said a team of data scientists who can write the best movie suggestion or recommendation model is going to win, I think $100,000. Ben: I think it was a million. Marcus: Or maybe even a million. So that’s about two years ago. There was one team of data scientists who actually built the best recommendation engine, but Netflix took I think the second or the third one, which was a model that was way, way easier and results were almost as good as the super complex model of this data science team. So this is from my perspective a pretty good example, because Netflix on purpose took the easier model because it’s easier to maintain, easier to understand. Because when you transition code from one team to another, the easier the code is, the easier it is for a new team to continue working on it and the more complex it is, the more dependencies you have on maintenance and other things. And when you look at things like deep learning where you train models, or let’s say that the machine trains models, that’s intimidating and cool, but it makes it also very hard to understand and improve things like this. That’s why I think the data science industry or trend is something that needs to adopt business objectives to become way better in doing data science. Ben: We’ve been talking a lot about marketing automation and AI and data science and how all of these things relate. One of the things that we haven’t really discussed all that much during modern marketing week is how all these trends play into business objectives. And it’s interesting to hear your perspective saying that the application of some of these new technologies and these new philosophies for how to solve marketing problems is actually using the simplest possible route to answering the question, and not go over the top with something like your data science practice. Marcus: Yes. That’s a very good question. I think data science is on a very good path to put the business objectives at the core of its work, but still it’s not there yet. If you look at the importance of data science, data science is incredibly important for companies, especially also for digital marketing. Because with data science you can see and answer much quicker which marketing channel, which investment, which campaign, which media you’ve used is more effective in terms of ROI as it was before. Or if you look at movies like “Minority Report,” right, where people got extremely personalized deaths based on their iris scan and things like this, I truly believe that the future of digital marketing and many other things within companies is based on data science. And the business objective is something I believe needs to be, if you look at data science conferences and how data scientists communicate with each other, this needs to be improved. Because when they talk to each other and when they look at data science from their perspective, the business objective is still too far away. And that’s what I think is going to change. Maybe there will even be different branches. At the moment everybody who is a little bit able to do math and statistics and a bit of other things, they call themselves data scientists. But maybe in the future you will split this again and you’ll have data analysts and, I don’t know, data scientist product owner that owns a certain area of product. And you have the business objective already baked into solving these problems. Maybe this is really coming out of the future of data science, that you have these different categories with different goals and objectives. Ben: Yeah. My takeaway from what you’re saying is that the practice of data science is still relatively new. My feeling is as business functions mature, the people that are working in them become less specialized in that individual function and are forced to build more expertise in other areas. I’ll use marketing as an example. As marketing has matured, the average marketer has needed to have a better understanding of technology, right? Of the financial implications, right? Modern marketers today are not only responsible for putting together their technology stack, but they’re also responsible for doing revenue modeling and working with the finance team. So as data science matures, the understanding and integration of some of the business objectives that data scientists need to achieve will probably be coached into them as they’re building their careers. Marcus: Absolutely, 100%. I totally agree. But if you say data science is still new, it depends on how you look at it, right? I think from this perspective collecting and using data to make decisions, that’s something I believe is not really new. I think what’s new is tying highly complex models and data science frameworks to these marketing techniques. I think this is rather new than using data to make decisions. Ben: Yeah, absolutely. It’s not necessarily new, the practice of statistics has been around for a long time and is going to continue to develop. It’s more that its application specifically in marketing seems to be growing exponentially. Marcus: Yeah, no, Ben. Absolutely, I do agree. Ben: So what other advice do you have for the executive level marketers who are thinking about how and whether they should build a data science practice into their business? It’s something that’s near and dear to your work. Obviously it’s something that you’ve done. What advice do you have for marketers who are thinking about starting a data science team within their marketing organization? Marcus: So my advice for every marketing team is that they do need to think about how they want to leverage data and data science within their marketing organization, because marketing automation and data science are so appealing and such a trend, companies need to build the foundation and then come to a certain mindset that they’re able to use data sets. Let me give you one example. In Europe a pretty large e-commerce company this year they thought with marketing automation we are so incredibly successful, they laid off their whole marketing team, the physical people. Because they believed with models and marketing automation they could fully replace the people, and they laid off 250 people. So not just a few people. And since then, that was in March this year, in April if you look at all their performance and their visibility in various companies since then, in many other countries it declined. This is where marketing teams need to think about, data science is not the answer to everything. You can’t automate everything. You need to understand the marketing piece, the personal piece, the content, the communication and the messaging, and what else can I use to automate stuff? That’s super important, because otherwise you get blinded by the hype of data science without really using its leverage. And when you hire data scientists, these people are hungry for data. They want to work on models. If you don’t involve them in what you want to achieve as a marketing team, they’d rather work on doing research, reading papers and coming up with something that’s very theoretical rather than something really practical for the maximum optimization. Ben: Yeah, I think the point you’re getting to and this is something we’ve heard multiple times during modern marketing month, is that including the humanity and making sure that you continue to build that into your marketing efforts and matching it with sophisticated technologies like artificial intelligence, machine learning, data science, marketing automation, all the things that we’ve talked about this month, you can’t have one or the other. Right? The modern marketer needs to be able to match up both the art and the science of marketing to continue to be successful, and so there is no silver bullet for where to invest. Whether it is a human centric approach or sophisticated data-driven approach, the right answer for most organizations is you have to find the balance for your organization, but it’s probably a lot of both. So with that said, Marcus, thank you for joining the TrendSpotting podcast. Thank you for founding the company. Thank you for working so hard to help build our data science organization, our technology stack, and we’re excited for you to work on continuing to innovate for Searchmetrics. Thanks for being on the show. Marcus: Yeah. Thank you again for having me. Ben: Okay, great. That wraps up this episode of the TrendSpotting podcast. Thanks again to Marcus Tober for joining us. If you’d like to learn more about Marcus, you can click on the link in our show notes to his bio. 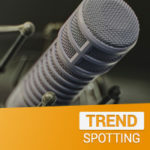 If you’re interested in spotting more marketing trends, or if you’re interested in learning more about Searchmetrics, the creator of the TrendSpotting podcast, click the link in our show notes to see our content archive. Or you can go to searchmetrics.com. 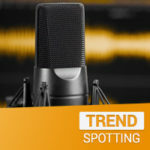 If you have questions or if you’d like to be a guest on the TrendSpotting podcast, feel free to fill out the Contact Us form on searchmetrics.com. And if you’ve enjoyed this podcast and you’re feeling generous, we’d love for you to leave us a review in the Apple iTunes store or wherever you listen to your podcasts. Lastly, if you like this podcast and you want a regular stream of data-driven marketing insights in your podcast app, hit the subscribe button and we’ll be back in your feed next week. Okay. That’s it for today, but until next time remember, it’s a data-driven world out there, and the team at Searchmetrics is here to point you in the right direction.